I have so much gratitude and love for my city that I decided to write 5,713 words on why YOU will fall in love with it to. I am sharing from my perspective, so I might get little personal. I was born and raised in Chicago and have lived here all my life I’ve always appreciated everything it has to offer. I will live, love, and die in this city. Well I was born and raised on the north side and then my mom took me to the south side. I have been all over Chicago. 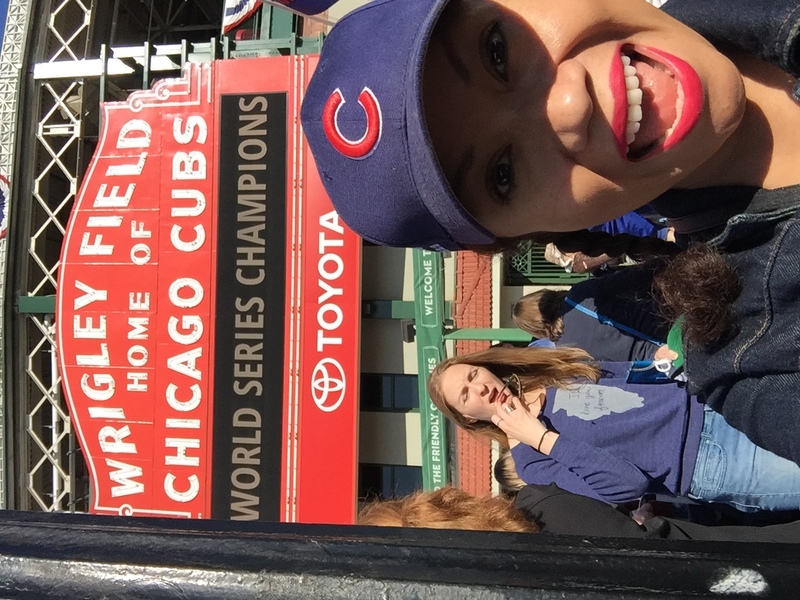 I also am happy to say that I was part of the 2016 Chicago Cubs Championship and treasured every single minute of it! 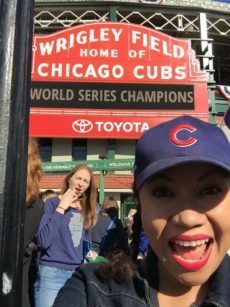 I was the happiest Chicagoan ever, okay, maybe not ever, since there were over 5 million people in Grant Park sharing the excitement but it was the greatest experience ever. Especially after the Cubs not having won anything in over a hundred years. I am not sure if you are a baseball fan, but if you are ever in a city when they win some sort of championship be sure you will be proud of your team and you will feel so much more connected to your city. Since we are talking about sports I cannot leave out our Chicago Bulls winning 6 championships – go Michael Jordan! I can’t leave out the Chicago White Sox, they won the championship in 2005, woohoo! Lets not forget the Chicago Blackhawks they have won three Stanley Cups from 2010 – 2015. But wait! The Bears exist to, I cannot forget about them they also won a superbowl in 1985. I think we are overdue for the Bears to win maybe in the near future. Maybe even in 2018. Our stadiums are also very popular! 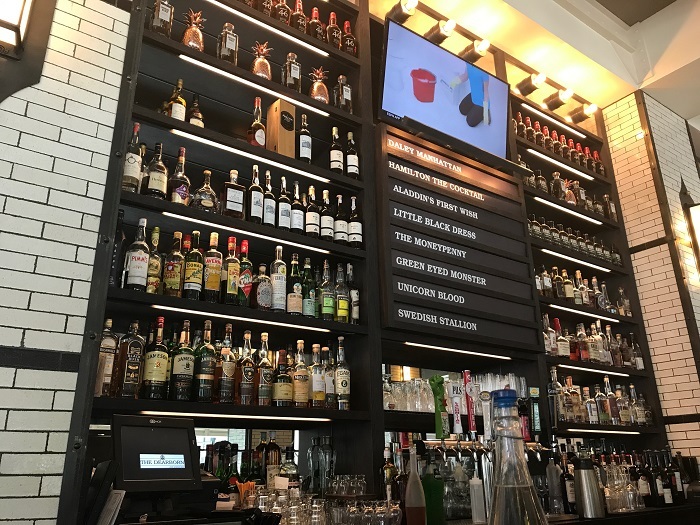 Wrigley Field has so many sports bars nearby, and Soldier Field, the home of the Chicago Bears, sits right next to all our wonderful Chicago Museums. Oh wait! 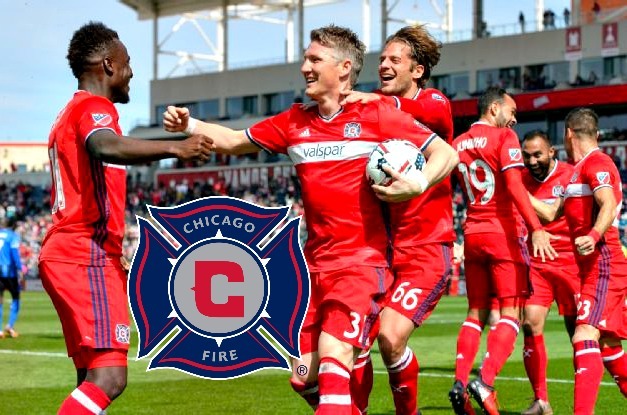 I don’t want to forget about our MLS team, the Chicago Fire, while there not talked about frequently, they are fun to go watch every once in awhile. I love sports but Chicago has so much more to offer. Chicago is huge, our population according to wikipedia is has approximately 2.7 million residents. With over 2.7 million residents, it is the most populous city not only in the state of Illinois, but also the entire Midwest. It is the county seat of Cook County. The Chicago metropolitan area, often referred to as Chicagoland, has nearly 10 million people and is the third-largest in the U.S.
What’s up with the Chicago Communities? Let’s begin by discussing how Chicago is broken down. IT has a grid system, so Madison Street starts at zero, going North/South and Madison start at zero for East/West. If you go south of Madison the N/S streets are numbered as 1000 S, 2600 S, etc and if you head north 800 N, etc. East of State streets the E/W streets get an E and west of State they get a West. Makes sense? Okay so let me be honest, I was never really good with directions so I studied Chicago by their community areas. Chicago is broken into 77 communities. Starting at number 1 all the way in the upper right hand corner is Rogers Park to number 77 right underneath Rogers Park which is Edgewater. Honestly Chicago is still very segregated despite our diversity. Every community is different there are clusters of Italians, Chinese, Hispanics, Jewish etc. I was just reading a CNN article that states Chicago is amongst the most segregated city in America that similar to the whole Cubs vs. White Sox but a little more complex than that. Despite the city being so segregated, we all get along. It’s a very diverse city with many different attractions and tons of ethnic places to eat. We celebrate diversity. There are many festivals like the Polish parade, Bud Billiken, the German October fest, the Pilsen food truck social, the African Caribbean festival of life fest that is just a few off the top of my head. 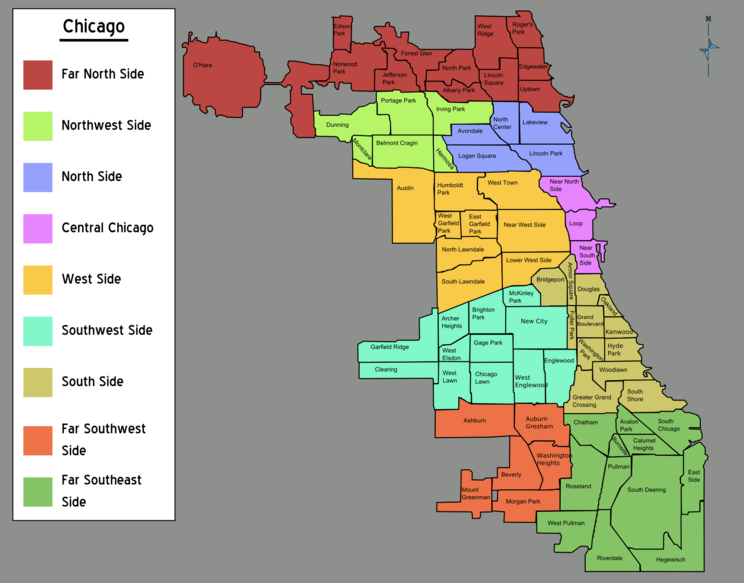 There is a an ongoing stereo type regarding the north side portion of Chicago and the South side. If you are a true Chicagoan you will hear about the north siders despising South Siders and vise versa. Basically the South Siders say there is zero parking, it’s to crowded and rowdy on the North Side. Yet the North Siders say that the South Side is overrun with criminals and that there are no areas to shop or dine. Either one is far from the truth. You will find though that the North Side has many more restaurants than the South Side in my opinion. We will further explore this later in the blog when I talk about restaurants. Every community in Chicago is unique. As a realtor driving around from neighborhood to neighborhood, I get to experience every small nuance and unique events. I remember going to a showing and the streets were blocked off because there was a ceremonial procession of Jesus and re-enactment of the Last Supper. This was in the Pilsen neighborhood, here is a DNA post about it. What area do I love the best? Honestly I am neutral since I am back and forth pretty much everyday I get to enjoy my old childhood spots and new spots I see popping up daily. So I enjoy both worlds. This is why I love my city there’s never a dull moment. What’s the deal with Crime in Chicago? The dreaded old city of crime. My sister and mother live in Florida and they always tell me I am going to get shot around the corner when I leave my house. They are overly worried, I have lived here all my life and I always say if you look for crime you will find it, it doesn’t find you. USA Today had they the same list and, again, Chicago is not on the top 5. Honestly, Chicago does have a ton of crime and it doesn’t matter what neighborhood you are in. Crime is everywhere most of the crime related activities are via gang members and drug dealers. Chicago is huge city you will have your bad and good areas like in any other city or state. I grew up in Logan Square over on the North Side. Before it became full of yuppies and hipsters, of course there is nothing wrong with that, but when I was a kid I remember bumping into many gang members. The area has already gone through gentrification and the property values continue to be on the rise. There’s a lot of commerce now like laundromats and cleaners, grocery stores, delis there all within walking distance. 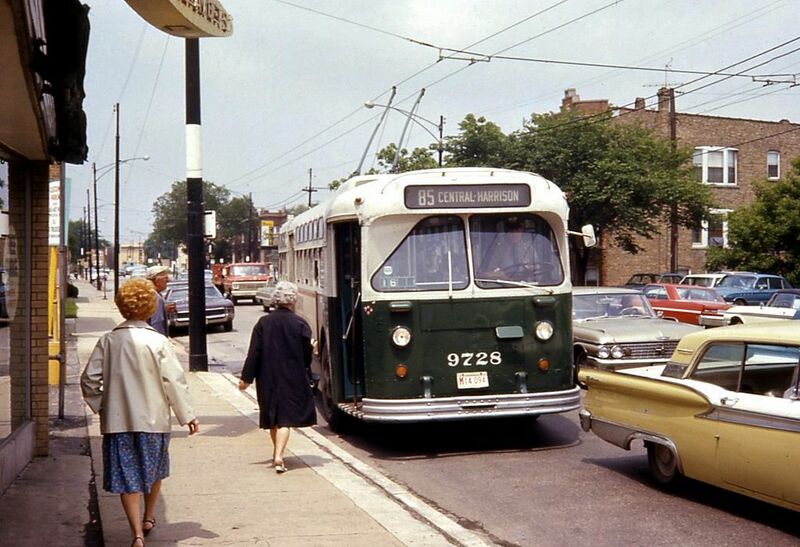 Since Logan Square was rough when I was a teenager, my mother made us move to the South Side. I remember thinking that the South Side was a bad part of ton. I was afraid that I would get shot as soon as we moved in. That is so far from the truth. We can’t forget that media plays a role in this perception. News broadcasts focus on the negative, like a shooting, but they never really talk about positive, like the community gardens and the revitalization of the areas that under populated. Being in real estate I always tell my clients to drive around the area take a look for yourself on the weekends, nights, anytime you can, whether they’re looking on the North or South Side. However, the cost of living does vary from North to South Side. If you want to find get more in depth about our crime you can go here, these are the top 3 websites on crime statistics in Chicago. Okay, I wouldn’t be a good realtor if I didn’t get into Chicago Real Estate. If you are on either the Northwest Side or the Northeast Side the real estate prices tend to be twice as much as the Southeast or Southwest Side. The Chicago loop and surrounding downtown area also tends to be the most expensive with white collar, high income workers. 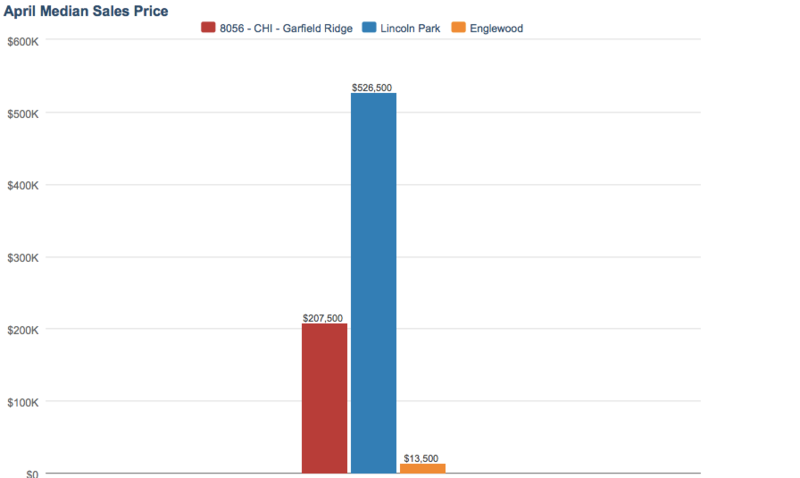 In general, the household income from the North Side of Chicago to the South Side varies tremendously. If you look at the picture below, you can see great disparity in prices. I only included 3 communities to avoid to much confusion but you get the idea, right? This bar chart is only for single families but it does also apply to condos and multi-family units. Aside from taking an Uber how can I get around in Chicago? Real estate prices also vary depending on how close you are to transportation. Many people don’t like to be stuck in our crazy traffic so they would pay more for a home that is located next to the CTA (Chicago Transit Authority). The “L” stands for elevated. If you are ever in Chicago hop on the orange line it will give you a scenic view while riding. Oh yeah, our L system is color coded! It has eight different lines and they are coded: Red, Orange, Blue, Pink, Green, Brown, Purple, Yellow to help you get through the city. They are maps everywhere so you really can’t get lost here is an example of our colored coded map system. Aside from the “L” we also have the Metra stations, which is another form of transportation in Chicago. Metra got its name in 1985 but you can read more their history here. I look at Metra as the more upscale side of the “L“. They are both great for getting around the city, but in my opinion the interior is a bit cleaner than its competitor. This is why the fare is more expensive as well. I remember as a kid wanting to ride one so I can go up to the second floor as they are double decker trains. Regular one-way fares to downtown Chicago range from $3.50 from the closest zone, Zone A, to $10.50 from the farthest, Zone M. Metra has 11 lines with 241 stations radiating from downtown Chicago to the six-county area of northeast Illinois. Needless to say the Metra goes through longer routes throughout the state. The “L” really focuses on the city of Chicago itself. The fare for the “L” is $2.25 (as of 2017). Monthly permits and daily parking is available at most train stations. The stations also have parking but the municipalities take part in maintaining the parking. Since we are on the topic of transportation, I can’t leave out the fact that we also have buses all over the city that is part of the CTA. What I find super cool is that there is an app you can download to let you know when they are arriving. You can also receive a text message if you’d like to check that out go here. As you can see above Chicago has over 7,300 restaurants if I were to talk about each one of these this blog post will turn into a book, lol. I am picking some my favorites from the North and South Side communities including my favorite in downtown Chicago. If you stay in Chicago long enough you will notice that we our known for our hot dogs, Italian beef, and deep dish pizza. Chicago is definitely a great place for a foodie. I have only selected of few of my top spots. 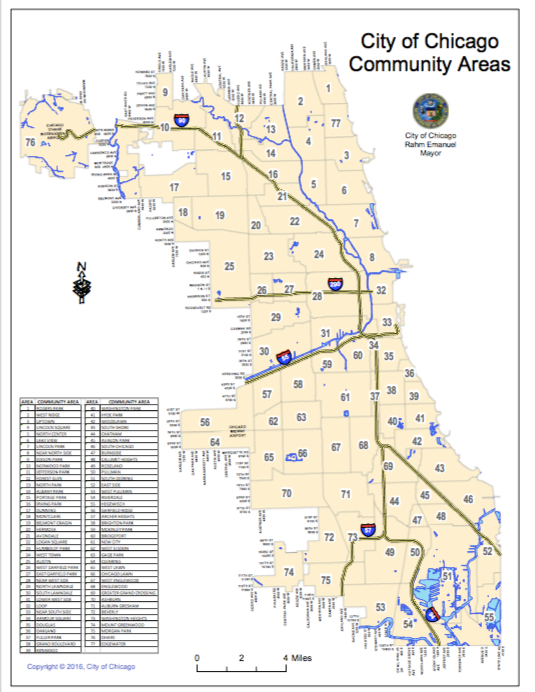 Let’s start on the upper northwest corner of our Chicago map (see map above), Norwood Park is home to a traditional memorial parade day parade that has been going on for the last 90 years. I took this picture June of 2017 and the restaurant was under construction so I will post my review of the food once they reopen. It’s seems like there food is delicious they have over 219 yelp reviews, so it looks as if I must try it out most of the reviews are positive. It’s a charming bistro with and open kitchen and outdoor seating, as well as great wine and cocktails. I am a softy when it comes to burger joints. I can indulge in a burger like if it were my last meal on earth. bopNGrill is creative burger joint full of Korean, other global ingredients, and Asian rice plates. It was also featured on Diner’s Drive In’s and Dive’s with Guy Fieri. I created a small video so you can take a look inside. Its right next to Chipotle and Loyola University. What I truly loved about the place was the outdoor patio, there is paid off the street parking and if you didn’t like the food you can always go next door to Chipotle. I have to admit the burger and the customer service was not all that great. I really had high expectations, but was disappointed with the waitress. She was very distant and didn’t even ask if I liked my food even though I hardly had any of my burger. I sat at the bar and ordered my food and my drink. 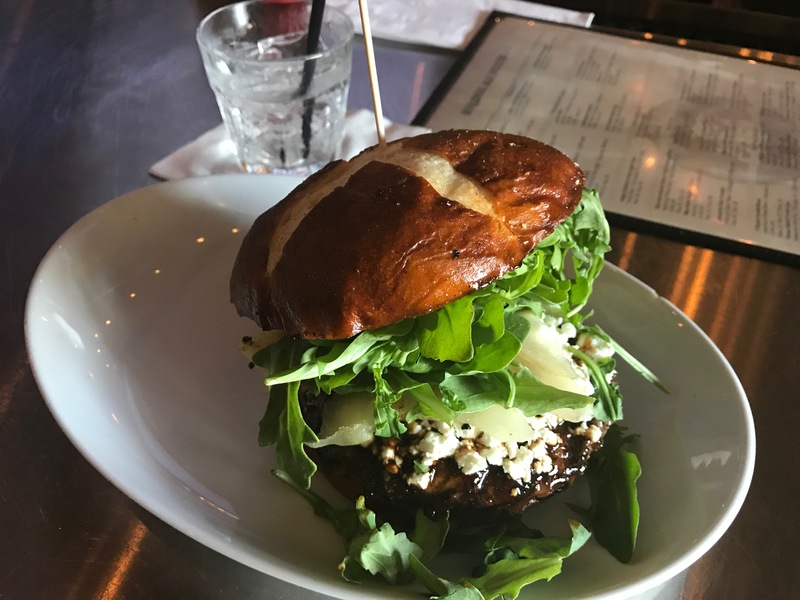 I had their specialty the goat and cheese burger. I’ve had this before at other places but it was just okay for my taste buds. There are a ton of different beer options. Unfortunately, I am not a beer kinda of gal, so I just had a vodka on the rocks. The bathrooms were clean and had several stalls super important if you are going to be drinking a lot, Ha! “The Loop” is next to Lake Michigan and is the part of town that is our most popular and touristy area. This is the area where we have the The Bean, Navy Pier, Chicago cruises, Museums, and the famous Willis Tower. In this part of town there are hundreds of restaurants to choose from. I am not a huge spender so I look at places that are semi affordable and that are not so stuffy. The Dearborn is an American tavern the menu features seafood, salads, and great steaks. I chose this place from all because it’s in the heart of the loop and it’s not bougie. Its patrons are a cluster of tourists, native folks and fine dinner guests. It’s located right across from The Richard Daley Center (named after one of our long standing mayors from 1989-2011) and right next to The Dearborn is a McDonalds. It has an upscale vibe but not so pricey. I went on a Sunday and sat at bar which I might add had quite a collection of spirits. I spoke with the bartender and he said they concentrate on mediterranean and gastro pub type foods. He was a nice guy and kept checking on me to see if I needed additional food or water. It was great customer service. As we move further along the communities we will going to the opposite side of “the loop” to the west known as Clearing neighborhood which is home to Midway Airport the next neighboring community is Garfield Ridge. A new place popped up in 2017 and they have over 47 locations here. They opened up in 1971 and are known for it’s delicious deep dish pizza. I could not have left out a traditional Chicago dish. Although several Chicagoans have other preferences such as Giordano’s, Pizzera Uno, Pizano’s, Ninos and a few others. 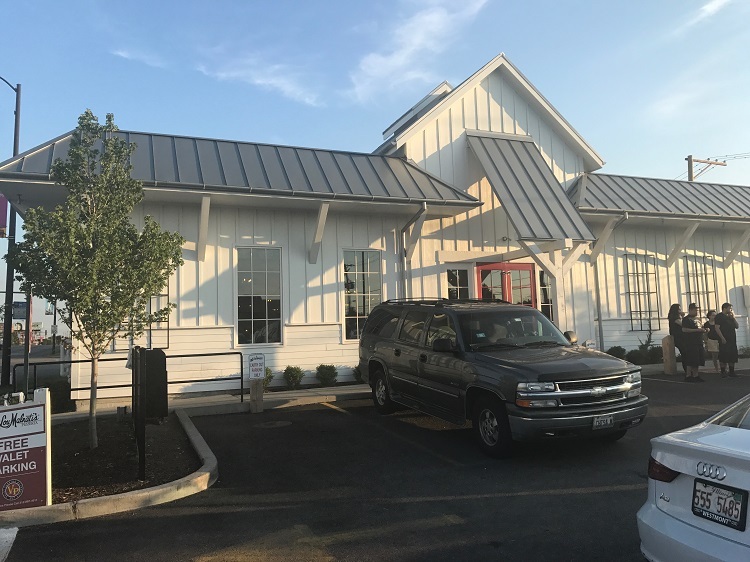 When you look at the outside of this place it reminded me of a farm or a church of some sort all white vinyl siding with a peak at the entrance. 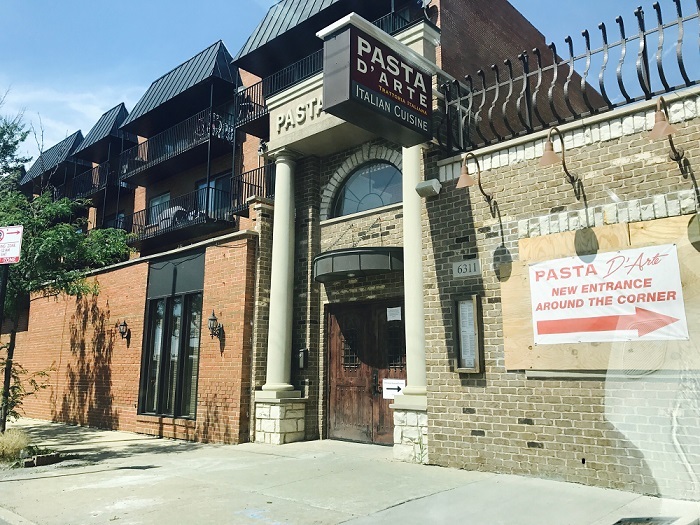 They have free valet parking, I highly suggest you take advantage of it as you it stands right in front of a major busy street Cicero Avenue and parking is limited. It is a walkable distance from many hotels in the area so if you are staying near midway this is one of your best bets. If you walk two blocks north you will bump into it’s competitor, Giordano’s. As you walk in it has an open feel to it. Here is a quick look inside. Personally, I am not a fan of deep dish pizza it’s too rich for me and even though I am on a ketogenic lifestyle it’s way too much pizza for me. However, I do love thin crust pizza with just the regular toppings pepperoni, sausage and mushroom. 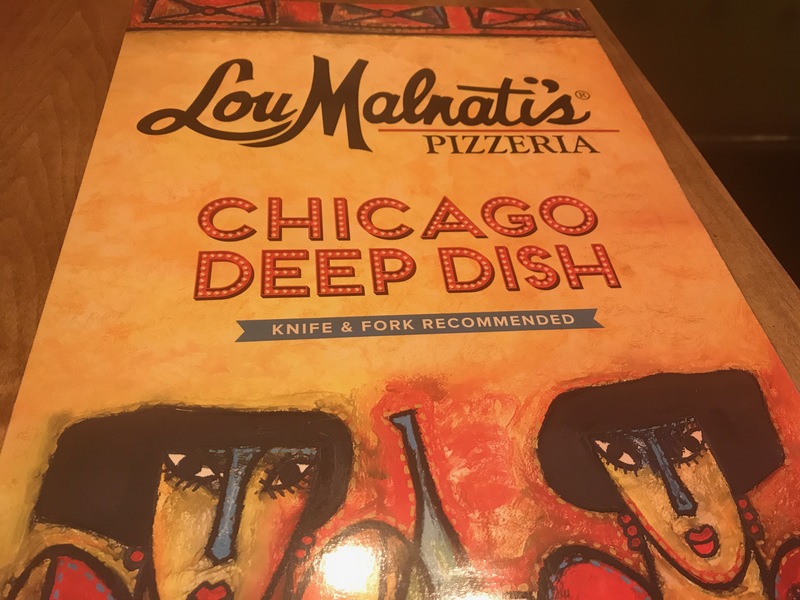 I was dining with my boyfriend and he asked the waiter for a bacon topping, unfortunately, they did not have it as Lou Malnati’s only concentrates on traditional toppings so no pineapple nor beef. They do have spirits onsite in case you wondering no need to b.y.ob. here. The waiter was attentive and made sure our drinks were refilled. The bathrooms were clean and overall good service. Next on the list we are traveling further south. I cannot leave out a great hot dog place since Chicago is known for our delicious dogs, remember we don’t add ketchup to our hotdogs we consider that a sin. Next stop is Englewood. I will be totally transparent here and let you know that Englewood gets a bad reputation, so let’s say it’s similar to what they say about Compton in California. When you drive through the neighborhood, do not get scared the place look like they’re falling apart. Trust me, it has some loyal followers and the hot dogs are awesome. 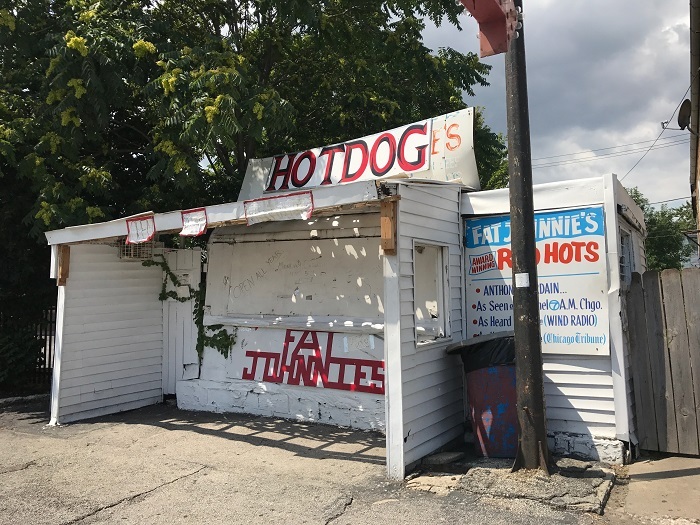 Johnnies has been serving hot dogs for over 40 years. It’s one of those hole in the wall places that serves some delicious food you won’t be disappointed. 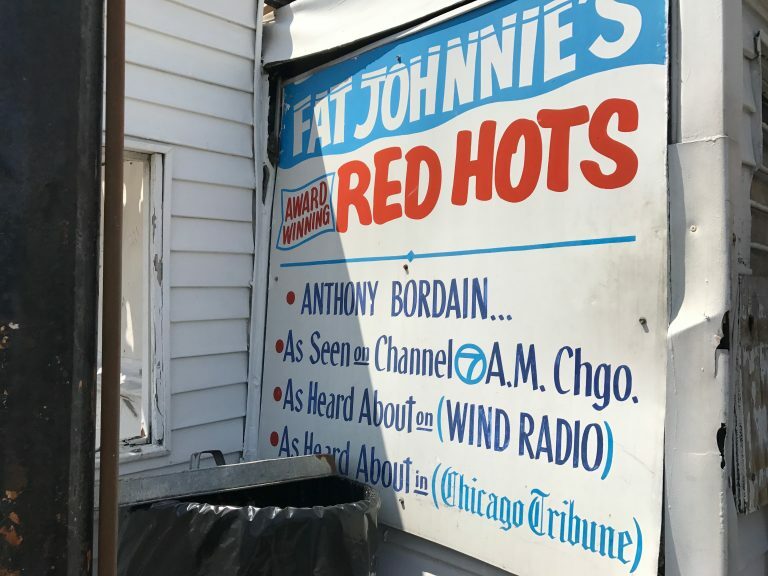 Fat Johnnie’s has been showcased on channel 7 and the Chicago Tribune. Check out Johnnie here. It’s also gotten abut 87 positive review on yelp. Moving further south past Fat Johnnies we bump into the Chicago Beverly area. In Chicago this area is known as the “Beverly Hills” of Chicago. Beverly is one of the top five largest historic districts in any major city in the USA. The neighborhood currently is home to more Irish-style pubs than any other in Chicago. The homes in Beverly feature architecture from Frank Lloyd Wright and his home to many city workers such as police officers and firefighters. 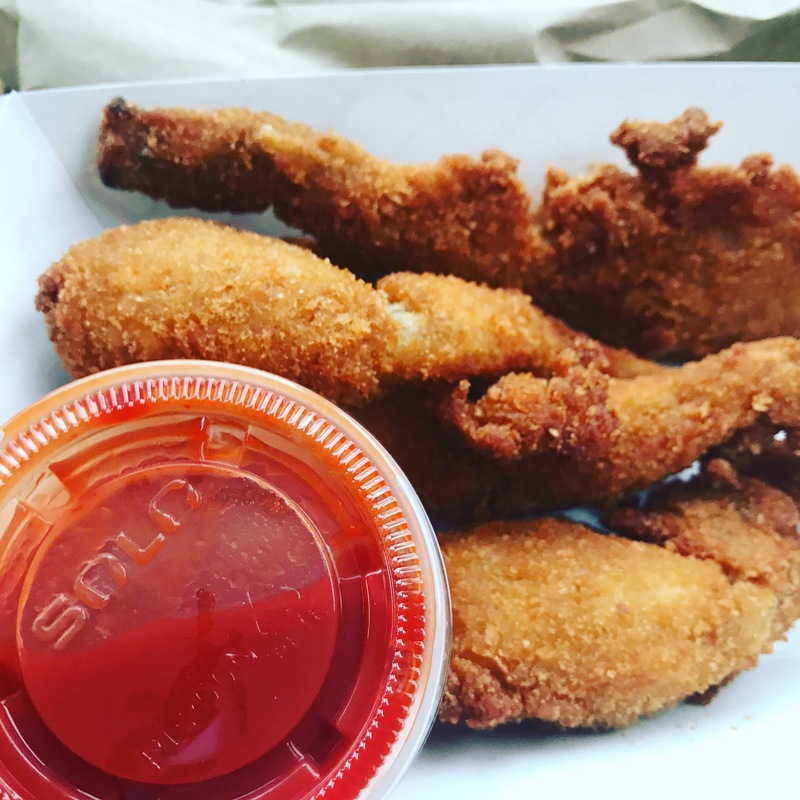 They specialty is gumbo, crab cakes, and slow-smoked bbq. 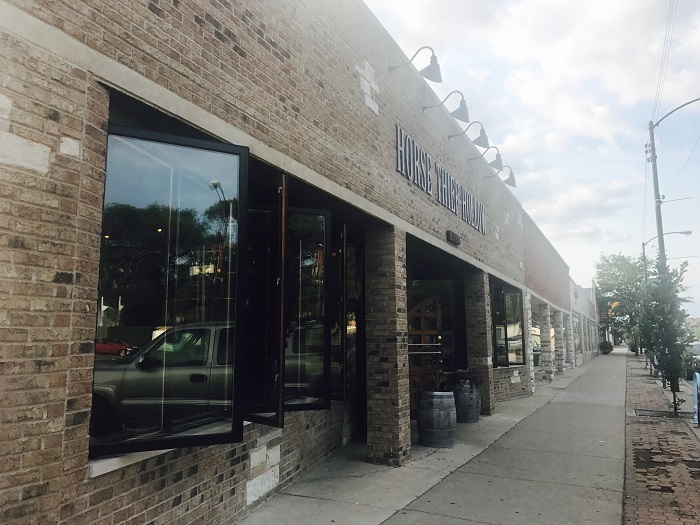 The restaurant and brewery occupies a 5,900-square-foot, 90-seat space that formerly was a carpet store. It also has parking along the building and off the street parking as well. I went here on a Sunday afternoon the place was not super packed but almost every seat was taken. It seems to be a popular hot spot for the locals in the Beverly area. I don’t like beer but they have their own home grown vodka so I tried the “Kalak” they also have whiskey, gin, rum, tequila and brandy. Honestly, I didn’t like it, it tasted a bit tart for my taste. I ordered the Wild Boar sandwich, this is the first time I have ever tasted this type of meat. 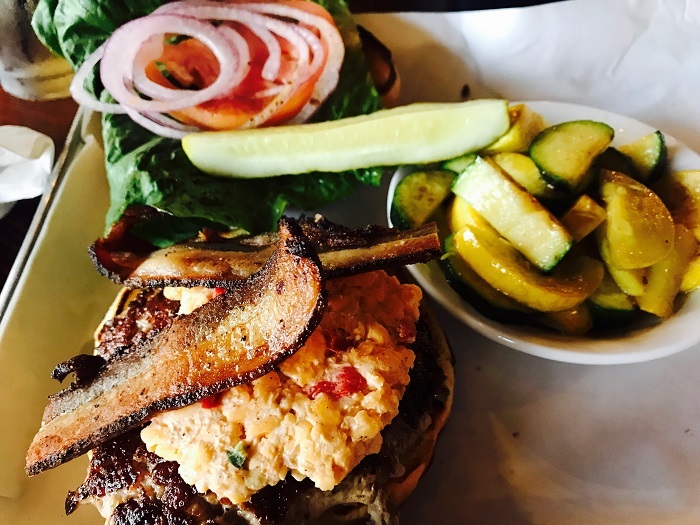 It came with pimento cheese, house bacon on a brioche bun. The presentation was great but for me it tasted like regular ground beef and a bit bland so I added salt and pepper. It was a good burger but not completely great. They also have paleo and lamb burgers. The waitress was great she knew what type of beers to pair with the food. Since they are a brewery they have tons of choices, plenty enough to quench your thirst. There decor is also unique they have actual beer barrels as display and on each barrel they have a tag that displays the year it started to age it’s beer. Some of the them have been aging for over 10 years. For a look inside of this place check out the video below. Last on the list is Calumet Fisheries, I love seafood so I couldn’t leave this one out. Bare-bones seafood shack serving house-smoked fish, fried seafood platters & a smattering of sides. According to there website Back in 1948, brothers-in-law Sid Kotlick and Len Toll opened Calumet Fisheries as it was their dream was to servethe freshest, tastiest fish on the South Side. I went to Calumet Fisheries on a Sunday afternoon the place was not hard to find, its a stand alone beat up looking shack on the side of the road before you go over the bridge heading east. It is literally right next to the Calumet River. There is parking right along the street and it’s a small place. By the way “CASH ONLY” transactions they do not take any type of credit cards. Luckily there is an ATM inside. When you go in they have a glass counter filled with trout and smelt, white fish, salmon and eel that you can buy by the pound. They have quick service but you have to know what you want to order because the place does get crowded. As I was waiting on my order I noticed they have all types of celebrities that have gone there. They had a newspaper clipping of an old comedian John Belushi and the famous American chef Antony Bourdain. The place is very small its just an in an out type of spot. There is a picnic table in case you want to eat outside but there isn’t a place to eat inside. I ordered half dozen fried shrimp and frog legs. They were delicious you get a choice of a spicy or mild sauce with them. I would highly recommend this place if you are on the south side east of Chicago and want a quick bit to eat. As of 2017 they have over 248 positive yelp reviews. Check out the inside of this place below. Where should I go to see more of Chicago? I honestly don’t even know where to begin here, there are so many options on what to do in Chicago here are just a few. If you like adrenaline rushes the latest attraction is TILT, a wall of windows that tilt out more than 1,000 feet in the air from the observation room atop the iconic John Hancock building. You must try it out. To go up to the observation deck its about $20 but to participate in the TILT its another $20. I love walking in this park and enjoying so much architecture, there is Pritzker Pavilion, Harris Theatre, Crown Fountain, Lurie Garden & Cloud Gate and the Millennium park monument. Whether your here for summer or winter there is always something going on there. 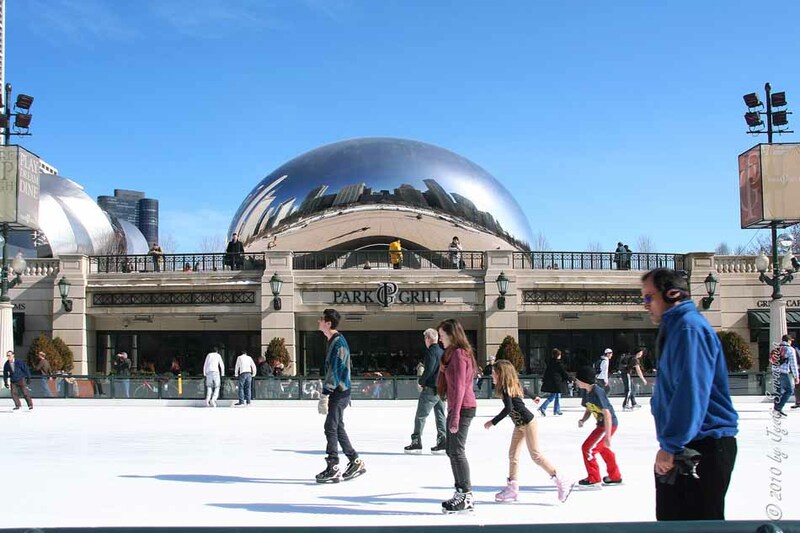 In the winter time there is an ice rink right above the rink is Millennium Park’s famed Cloud Gate sculpture. The beauty of this cloud gate is the fact that you can see the Chicago skyline throughout the 168 stainless steel plates that are welded together. It sort of makes the skyline look distorted in a way. It is a big attraction with tourists. This park is somewhat new the ribbon cutting ceremony was December of 2014. There is plenty to do there like rock climbing, ice skating (winter months), roller blading in summer months, mini golf, and they have tennis courts. The park is also located right across from Millennium Park. Navy pier opened up in 1916 originally named Municipal Pier and renamed Navy Pier in 1927 during World War I. The pier features a giant ferris wheel that was just renovated in 2016 with a cost of $26.5 million, according to the Chicago Tribune The new wheel has a height of 196 feet, almost 50 feet taller than the current wheel. There is also a beer garden, different boat cruises, and indoor shops and food courts. 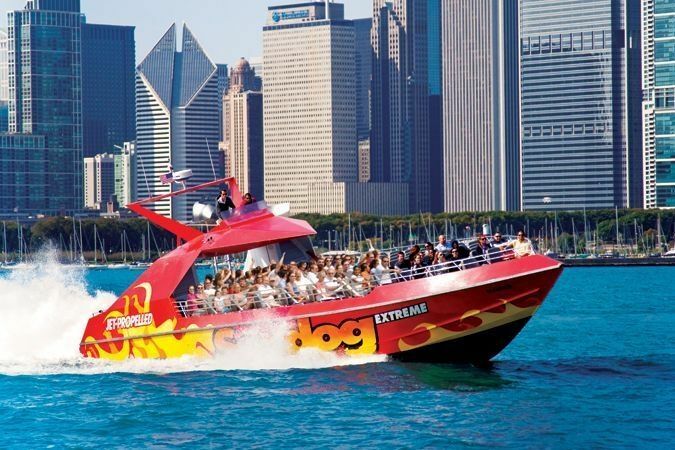 The boat cruises are fun you can explore the city check out the iconic skyline and the scenic Chicago River with sightseeing ranging from 40-90 minutes in length. Every Wednesday and Saturday from memorial day to labor day you can enjoy fireworks you can rent a boat to them. These are known as firework cruises. If you are looking for more of a rush than relaxation then you can go on a 45mph speedboat down lake michigan for a 30 minute ride. If you are more of a family person or just want to know more about Chicago and it’s culture there are over 25+ different museums. From the American Writers to the Chicago Sports Museum. I am sure if you have a particular interest of some sort you will find a museum that suits your needs. For more on the plethora of museums go here. If you are a party animal there is plenty to choice from depending on your style of choice from lounges to jazz bars. They feature hip nightspot features DJs spinning techno dance music, beer & cocktails. They have pretty good reviews on yelp as well. Lots of celebrities come here and they also have live performances. 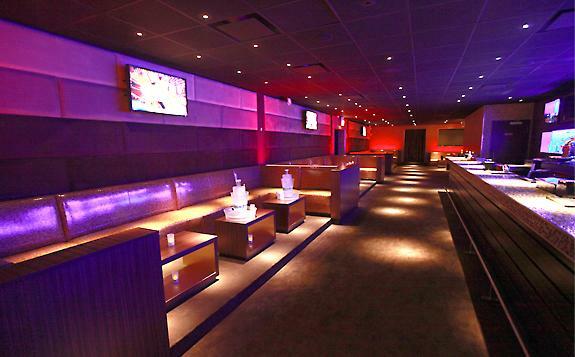 This club is more a of a trendy spot with marble-topped bars, elevated DJ booth. Modern and sophisticated, yet retro, chic and funky all at the same time. Where the rooftop view of Chicago’s skyline is second to none, you can see the cloud gate and Millenium park. 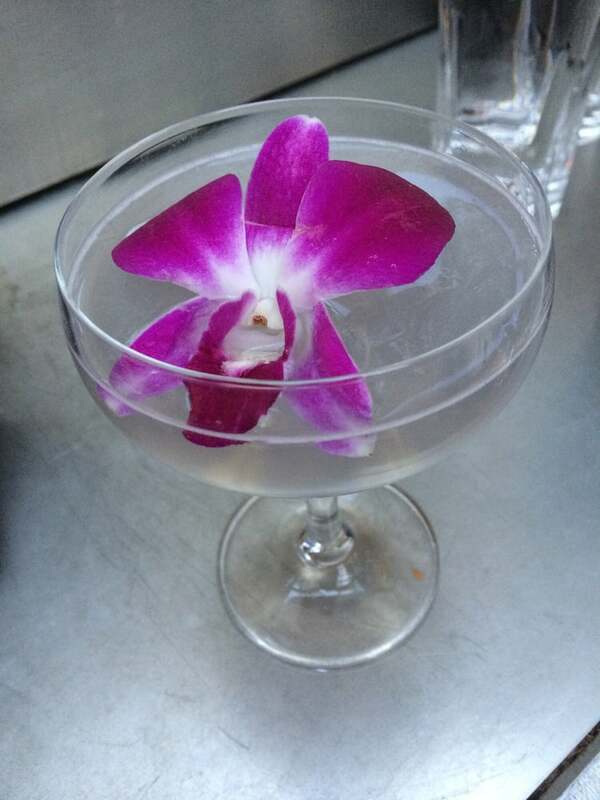 There customer service is great and they have some awesome drinks like the grey garden a lavender & lemon infused vodka cocktail. In the winter time there are also two fire pits that keep the place warm outdoors. It’s been a while since I have been there but I will never forget the Whitney Houston impersonator. Parking is a bit tight so make sure you get there early. The Baton Lounge features drag queens that impersonate celebrities. You will not be disappointed, I promise. It’s very popular for bachelorette parties. This theater is known discovered several big time comedians like Dan Akroyd, Gilda Radner, Mike Meyers, Stephen Colbert and many more. I will have to warn you that the seating is tight so if you are people phobic you might want to rethink this place. Zanies is a very old comedy club that has been around since 1978. They also have various locations throughout Chicago and the suburbs. They do sell food and drinks but it can get pricey so if you are watching your budget be careful. Also the food is more like appetizers they don’t expect to get a full dinner if you are hungry make sure you eat a full meal before you go there. Chicago has so much to offer it’s a big city with plenty to do. There is something for everyone. Don’t forget there are also great local neighborhood spots where you can enjoy a beer or some yoga. There are also concerts, broadway shows, operas and great places to walk around. One of the other popular spots is the River Walk. The Chicago Riverwalk is an open, pedestrian waterfront located on the south bank of the Chicago River in downtown Chicago, Illinois. It spans from Lake Shore Drive to Franklin Street. There are also live performances from local musicians, public art exhibitions and special events that are offered throughout the season. Along the River Walk you can enjoy restaurants, drinks, and the joy of just people watching by the Chicago River. Whether you are here just on a visit or here to stay you will end up loving Chicago like I do. You might even decide to stay forever. Even if you don’t you can continue to enjoy the city year after year as there is so much to here. So welcome aboard, I hope you fall in love with my city like I have. Since this post is all about the Chicago my friend at The Great Guys Moving company created this infographic that I wanted to share with you. You’re probably aware that living in a major metro area like Chicago isn’t cheap, especially if you don’t want to commute from the suburbs. However, if you’re moving to the Windy City for the first time, you may not be aware of just how expensive it is to live here compared to the rest of the country. My friends at Great Guys Moving put together an infographic giving Chicago newcomers a glimpse at what life is like in Chicagoland. Their data shows that while essentials like milk and eggs cost less than the national average, home prices and apartment rentals are significantly more expensive. To navigate the competitive and expensive Chicago housing market, it’s important that you have an experienced real estate agent by your side. For over 12 years, I have been helping clients buy and sell homes in the Chicago area. With over 200 successful transactions under my belt, I have the skills and experience to help you find your next home. As a buyer’s agent, I specialize in the neighborhoods of Dunning, Albany Park, Portage Park Logan Square, and Humboldt Park. These areas are very walkable, offering residents an array of convenient shops, restaurants, entertainment options, and amenities. Additionally, these neighborhoods are just north of city center, which makes commuting easy for those working downtown. Whether you’re looking for a one-bedroom condo or a 5-bedroom single-family home, there are plenty of options for every budget. To get started on your Chicago home search, contact me today!